SALT LAKE CITY (AP) — A Navajo man filed suit Wednesday challenging a Utah county’s decision to disqualify him from the ballot in the first election since a judge ruled local voting districts were illegally drawn based on race. Lawyers for Democrat Willie Grayeyes said in a statement the finding by San Juan County was an attack on his race and political views. Grayeyes was disqualified from running for a county commission seat last month, after county officials investigating a complaint were told he lives primarily in Tuba City, Arizona. They have said race and politics weren’t involved in their decision. County officials didn’t have immediate comment on the lawsuit. Grayeyes has lived and been registered to vote in San Juan County for decades, his lawyers said. They argue he was targeted because new, court-ordered voting districts could help more Navajos get elected. 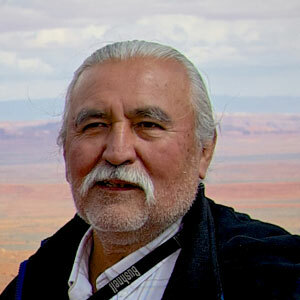 Grayeyes serves on the board of Utah Diné Bikéyah, a group that supported the creation of the Bears Ears National Monument to protect land that tribes consider sacred and is home to ancient cliff dwellings and petroglyphs. The creation of the monument was fiercely opposed largely by Republican leaders in San Juan County and statewide. President Donald Trump ordered the monument downsized last year. Native Americans could not vote in Utah until 1957. U.S. District Judge Robert Shelby handed down new districts after he decided the county was racially gerrymandered to minimize the voices of Navajo voters, who make up half the electorate. Similar legal clashes have been waged over Native American voting rights in several states. County leaders are challenging the new districts they say unfairly carve up the county’s largest city of Blanding. The Navajo Nation overlaps with San Juan County and stretches into Arizona and New Mexico. Many people in the remote areas travel frequently for work and collect their mail across state lines. In addition to newly-drawn districts, a separate lawsuit filed by the ACLU of Utah resulted in a settlement requiring the county to operate three voting locations on the Navajo reservation and one in Monticello for Election Day voting, according to a statement from Jason Stevenson, strategic communications manager for the ACLU of Utah. The settlement also required that Navajo language assistance be available at those voting locations. San Juan County residents who are not registered to vote or their mail-in ballot was wrong, incomplete or damaged can still register to vote at a voting place on Election Day and cast a vote. 1. Where does he live? 2. Supplying interpreters is inappropriate? 3. Why are people residing on the Reservation voting in elections off the Reservation.